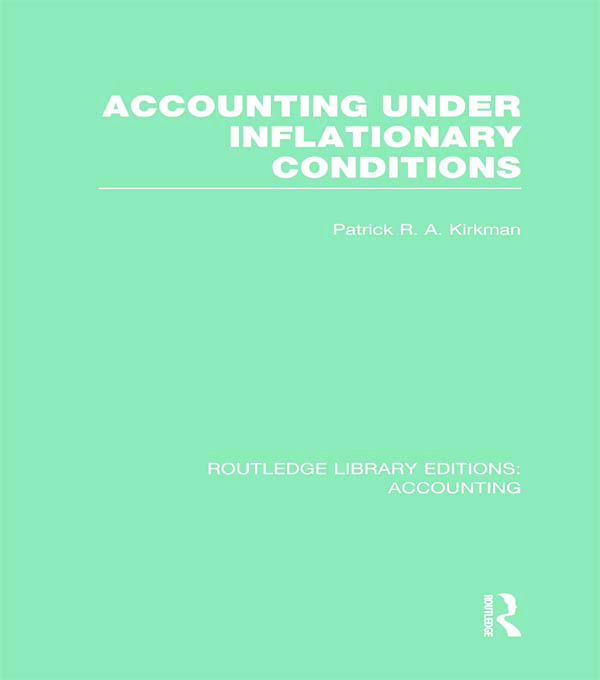 When first published this volume represented the first concise, accessible UK text that explained the very complex changes that could be involved in an inflation accounting system. The new edition of the book (1978) was restructured and rewritten, with a substantial amount of material added so that it provides a comprehensive and accurate picture of the inflation accounting issues of the 1970s. Preface. 1. Inflation – Recent Trends and Developments 2. Measurement of Business Profit 3. Choice of a Price Index 4. UK Price Index Numbers 5. Depreciation 6. Stock Valuation and the Cost of Sales 7. Losses and Gains on Monetary Items 8. Long-term Assets 9. Capital Maintenance 10. Inflation Accounting Systems 11. General Purchasing Power Accounting 12. Current Value Accounting 13. Inflation Accounting in the UK 14. Inflatin Accounting Outside the UK 15. Probable Effects on Profit Figures 16. Implications for the Business Sector and Central Government 17. Overall Summary and Conclusions. Appendices. Index.